Endangered species regulations are aimed at protecting animals at risk, but how can we be sure about what is happening to them when humans aren’t around? Researchers at the A. James Clark School of Engineering at the University of Maryland, College Park, the National Geographic Society and Princeton University are teaming up to develop a data gathering system that features new devices animals can wear to capture video, sound, geo-location data, and other information to provide rare insights into group behavior of endangered species. The National Science Foundation (NSF) is funding the research in the amount of $1.8 million over four years. The research project, titled "Remote Imaging of Community Ecology via Animal-borne Wireless Networks,” will build a broad foundation of knowledge about how to design and optimize the algorithms that control these devices for monitoring animal behavior and to better understand and model the mechanisms of social interaction. The results will provide scientists with valuable information to help protect endangered species. This unique research collaboration was born from conversations that evolved from UMD's close proximity to National Geographic's Washington, D.C., headquarters. In March 2010, Greg Marshall of National Geographic came to College Park to give a talk on his "Crittercam" remote imaging technology. He met Nuno Martins, a professor in the Clark School’s Department of Electrical and Computer Engineering and the Institute for Systems Research, who has a background in control and robotics research and shares a keen interest in building on the imaging technology that Marshall has developed over the years. Martins and Marshall followed-up with a one-year collaboration that involved a summer internship for a University of Maryland student at National Geographic. The ideas resulted in a concrete research plan, which later included Clark School alumna and Princeton University Professor Naomi Leonard, an expert in group dynamics and coordinated control, in their discussions. The three researchers ultimately decided to combine their multi-disciplinary skills and interests and applied for the NSF grant. Martins, Marshall and Leonard are principal investigators on this Collaborative NSF Cyber-Physical Systems grant, which establishes the first formal cooperation between the Clark School and the National Geographic Society. National Geographic will receive $1 million to design and construct the needed equipment for the project and support its research and engineering team. The Clark School and Princeton research groups will each receive $400,000 to develop, implement and evaluate the algorithms and data streams that enable these networked distributed systems to function autonomously. The researchers will construct a wireless network of animal-borne embedded devices. As the animals move and interact in their natural environment, the networked devices will communicate with one another to resolve their relative positions and provide information about group behavior. The devices will record audio and high-definition video footage of occurrences of certain animal group behaviors, such as predation. Such recording would normally require great bandwidth and power, but computer algorithms will allow the devices to selectively film at times of interest, greatly extending battery life. 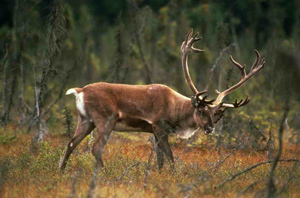 An environmental protection agency of the Canadian government will use this system to investigate the causes behind the heavy predation that is victimizing a species of Caribou in their territory. The researchers plan to make publicly available the rich media, including what promises to be rare close-up footage of undisturbed animals. Their goal is for these resources to engage a broad audience and increase awareness for the protection of endangered species. The project will create undergraduate and graduate research opportunities at all three participating institutions. The researchers also hope the project will help attract more students to engineering and science. For more information, please visit the NSF website at www.nsf.gov.